Software Defined “Whatever” is rapidly becoming interesting to the industry analysts, and to Mainline’s customers, as they struggle to stave off increasing costs and simplify their IT infrastructures. Change is coming to the IT landscape more and more rapidly. New technologies seem to be announced daily and new approaches to data processing are discussed around these technologies, as well as separately. At the same time budgets are flat or diminishing, and IT staff are becoming more and more burdened. Keeping up with changes and trends becomes subjugated by firefighting as increasing complexity creates more instability. And to top it off, data is becoming more and more important to the organization’s competitiveness. To address these trends and realities, there is a move toward a more simplified infrastructure that is managed, via policy, and through automation of policy directives. 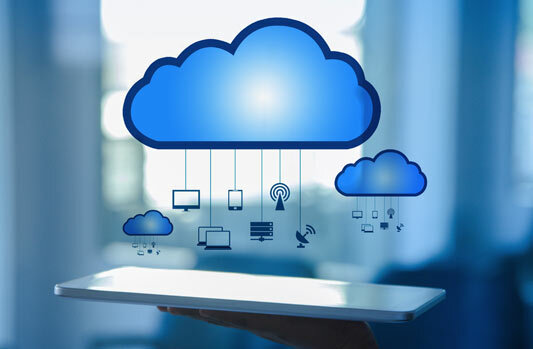 The advent of Cloud data processing enhances the software defined architecture by offering even more simplification, and further enables opportunities to reduce cost. The movement toward addressing these issues began with network virtualization, moved into server virtualization, and is now integrating into storage infrastructures. What is “Software Defined Storage,” and how is IBM participating? The first step in building a software defined infrastructure is consolidation. Servers have consolidated through technologies like AIX LPAR’ing, VMware and Hyper-V. The next step is to virtualize the hardware layer. The same technologies that enabled server consolidation accomplished that goal through virtualization. For storage, the same paradigm applies and is accomplished by technologies such as IBM’s Spectrum Virtualize, EMC’s VPLEX and the HDS Array technologies. IBM has built a “top to bottom” software defined capability throughout their Spectrum product line. IBM’s advantage in this area is partly through their organic product development. Rather than purchasing dozens of companies to cobble together a storage strategy and portfolio, IBM has taken a few key technologies and disseminated their useful capabilities throughout the stack. This feature enables simplified management of the hardware, and builds a platform that can be more easily controlled through policy-based storage management automation. Taken together, these products provide for the simplified management and reduced complexity that the software defined infrastructure is designed to provide. On top of the software defined infrastructure is the policy-based management and automation layer, enabled thorough IBM Spectrum Control™. Augmenting this (and preparing for automation), IBM provides the capability to analyze and measure activity within the infrastructure through IBM Spectrum Control Storage Insights™. In part two we will more deeply explore IBM Spectrum Control Storage Insights™.